Am I right in my understanding that boost is the "permanent" timing that is applied to the motor throughout the throttle range whereas turbo is only applied at full throttle, after the turbo delay period, up to the turbo timing max and in the intervals configured? It's a little more complicated than that. I use the Hobbywing software which is what the SP software is based on. Bear in mind there are 64 steps in the ESC timing, these are not degrees. At 0 RPM there is no timing added by the ESC. The "boost" is added at a rate based on the RPM of the motor (Timing ACC setting) starting from a certain RPM (Start RPM). So, for example, Boost timing at 36, start RPM at 4000 and Timing ACC at 350 means that the boost starts getting added at 4000rpm at a rate of 1 step per 350rpm until 36 steps have been added (in theory you are at full boost timing at 16600rpm). The "turbo" is added after a time delay and at a rate based on time. I think you need to be at full throttle, and the latest software also waits until all the boost has been added until it adds the turbo. So, for example, with Turbo of 24, Turbo slope at 18 and Turbo delay at 0.4s, the turbo will kick in after you have been at full throttle for 0.4s, and will add the timing at a rate of 18 steps for every 0.1s until you have reached 24 steps. It's probably easier to put the theory to one side though and just run it with the default settings, make small changes and see what happens. The only difference between the MOD and STOCK versions of the software is that the MOD version has a restricted amount of timing available. The bottom end is all in the motor and gearing. The midrange and topend is in the ESC. I have run the turbo software a lot in on-road stock and I can tell you I don't like it. You lose a lot of throttle feel, and you waste a lot of time chasing the right balance between motor, gearing and ESC settings. I would never choose to run it in modified off-road for that reason - if I needed more speed I would motor up. Or even gear up, because brushless motors have got gobs of efficient torque and will pull a surprisingly big gear if you need them to. Some of the terms vary between ESC manufacturers, but the general concept is the same. The ideal amount of timing advance varies by rpm and load. In general more rpm needs more timing advance for the best performance. Timing boost, or ramping, dynamic, etc, timing is rpm based. Generally there are adjustments for the rpm where it starts adding timing, how fast it is applied as rpm continues to increase, and how much total timing is added. Or a start and end rpm instead of how fast it’s added. Either way it varies timing advance with rpm progressively. Turbo or supercharger boost is additional timing added after a delay at full throttle, for an extra burst at the end of the longer straightaways with the motor already at high rpms. No absolute rules, but in general turbo boost is less popular for off road as it can be a little less predictable on jumps, or with limited traction, etc. The ideal settings are complicated by the load aspect. Different classes of RCs, on road vs. off road, track size and type, driving style some, etc. But in general start with gearing first, perhaps on the low side, smaller pinion, than without boost, and with moderate motor endbell timing. Then slowly add in ramping boost, experiment with start rpm and rate, until the motor gets too hot or ceases to improve performance. Start rpm to a degree can be used to adjust low speed punch and feel, rate to get the best acceleration throughout. Generally with good settings the motor won’t get very hot, as ideally it is always running at a high efficiency. 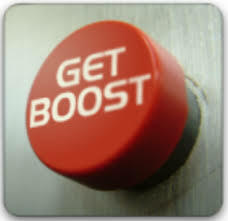 If it’s getting hot, and be warned it can get hot really quick with too much boost, you’ve overdone it. Check temps frequently when experimenting. Then add turbo and adjust delay if you need an extra kick towards the end of long straights. Don’t forget temp checks. Gearing and boost are interrelated. A little more gear with a little less aggressive boost can be very similar to a little less gear with a little more boost. Experiment with gearing some after getting a baseline boost setup. Most ESC manufacturers will list setups for various classes and track sizes to help get you started. Note most stock classes are now “blinky” where no ESC timing is allowed. Blinky referring to a typical blinking light pattern on the ESC to indicate it is in the zero timing advance mode per ROAR rules. Also ESC timing typically doesn’t work well with 4 pole and 1/8 scale motors, or at least very limited amounts.